How would you deal with your child’s medical issue ? In this edition of A Mommy Story, we are featuring Tamra and her son, Cooper. Tamra reveals discusses how she dealt with an understandably difficult and stressful experience. As mothers, we all experience different trials and tribulations. They are generally greeted shortly thereafter (sometimes seconds between) with highs, laughter and love. Our emotional rollercoasters are lived daily. We can all relate to the mother with the crying baby in the middle of the grocery aisle or the new mommy exhaustion from lack of sleep and nursing consistently…but how often can you relate to the mother with the handicapped child? I think often we disregard the subject all together as we talk about our beautiful, seemingly perfect children; especially now through social media glitz and glam imagery. I don’t want to be that mom that gives off false expectations of what motherhood truly is and all of the emotions that engulf its truths. And I surely don’t want anyone who has experienced medical issues with their children in the past, present or future to feel like I can’t relate, because I can. My son had a flat head. We noticed it at 4 months old. His cute little noggin just wasn’t shaping how we expected. On top of the fact that the child HATED tummy time, sitting up in any contraption that prevented his head from being flat and he was the ultimate “back to sleep” sleeper (like 14 hours a night sometimes!). We had decided to cloth diaper with him, for all the right reasons, but to this day, I think it had a play in this issue from the beginning. Though, I did experience some emotions of post-partum prior to this time, neglect was not in the picture. He was cuddled, loved on and held OFTEN – his head just didn’t show it. As time passed, we asked questions every doctors visit, they all assured us by the time he was of school age we wouldn’t notice it. Perhaps it was for us and our own sense of peace, not wanting others to judge and wanting that “perfection” that isn’t ever feasible on this side of heaven. We pushed and eventually visited a doctor at our local children’s specialist hospital (CHKD), where they did x-rays to access development and skull structure. Watching our sweet little, helpless baby get strapped to a cold table by unfamiliar people, having to leave his side and stand in the other room – that 5 minutes alone had me in tears and anxiety for weeks prior and after. I have mommy friends who have had their little ones in the NICU upon birth and thereafter and my heart always broke for them, but it was in those moments where I could relate and understand on a different level. Results came back and again the specialist reassured proper growth and not to worry. But of course, time was of the essence in this situation. The longer we waited to find a “fix” the less likely it would ever be possible and we would just be in a waiting cycle until he was older. My husband and I were not satisfied. I think it is a true testament to a parents 6th sense with their own children, that if it feels wrong, it probably is. Luckily, we lived in proximity to one of the best east coast practices that specialized in helmets and skull scans (they also develop leg and back braces that are amazing). After a lot of discussion, fear and anxiousness, my husband made the final call for us to go and see what they had to say. If it was our 3rd “he’ll be fine in time”, we would go and find peace. If they had something else to say, regardless if it was a money ploy or not, we wanted to be confirmed in our thoughts. After the scan was complete and the scale from 0-5 proved that our son was on the “need” list for a helmet, we proceeded immediately because the time frame was closing in on his growth plate development and soft spot closing. I was 4 months pregnant with our second baby and the week of his first birthday my baby boy had to wear a helmet for 23 hours a day for 6-9 months! He got 30 minutes in the morning of freedom, 30 minutes after nap so he could just play in the sun with his friends and 30 minutes for bath time before bed. That’s right…ALL DAY! My mommy emotions were wrecked. I couldn’t lay my face cheek to cheek with my precious baby. I couldn’t play with his beautiful hair as I sang him to sleep. I couldn’t comfortably let him rest on my chest. In the heat of the summer, our hot natured little baby, had fire engine red cheeks from the heat. People stared. Kids commented. I hated to take him in public because it broke my heart. I didn’t post pictures of him like all the other moms did. But I’ve learned since this time about the power of perspective. I’ve learned that I can sulk and let happiness be stripped from me by the enemy and voices inside my head or I can stand up and smile. That little boy was adjusted in less than a week. He was happier than ever. He was content and knew no different. His family and friends that saw him everyday didn’t joke him, they embraced him and thought his helmet was awesome. We got it wrapped by an amazing local artist with Finding Nemo scenes, the shark in particular. When he would see himself in the mirror he would smile and RAWR! My cuddle times were the best part of my day. Bath time was his happy place, but honestly the kid never let it faze him. He still slept through the night and it became his biggest aid during those first weeks of wobbling around when learning to walk – no bumps or bruises on his head! When we were in public he became the spectacle for attention, not because people felt bad for him, but because he was so comical – dancing and laughing and bringing smiles to peoples face and hearts. 6 months later, days before his baby sister arrived, he was helmet free! His head shape scan score had gotten better, the images and physical view of it was obvious, and he was back to being “normal” – whatever that means. I missed his helmet. I even held on to it for years to follow because it was such a fond memory even though it was also such a heartache for me before maturing in the matter. To this day, I believe the helmet was part of what shaped his hysterical show-stopping character and I will always be grateful that my husband was not satisfied with less than, despite my personal hesitations. Now, I know this was a physical ailment and seemingly nothing in comparison to mental, developmental or other physical issues, but my purpose in sharing this isn’t over depth of comparison, but more so on bringing light to the fact that we are in this together. And unfortunately at the time, I didn’t feel that support. I don’t believe it wasn’t because people couldn’t relate or be empathetic but because it was a literal mind block I had created in my own head that ended up being a battlefield for me over the matter. Let yourself find freedom by changing your perspective – it will change your heart. Other moms want to see your little one in all their glory and in all of our honesty. They want to root you on. They want to give you a hug and let you know it’s just a season and maybe the greatest learning lesson of your life. We may not all share in the same exact experiences, but our hearts all know the same love. Tamra is the author of Simply the Heart. She blogs about celebrating togetherness, travel and the gift of life. Follow her here for more inspiration posts and photos ! 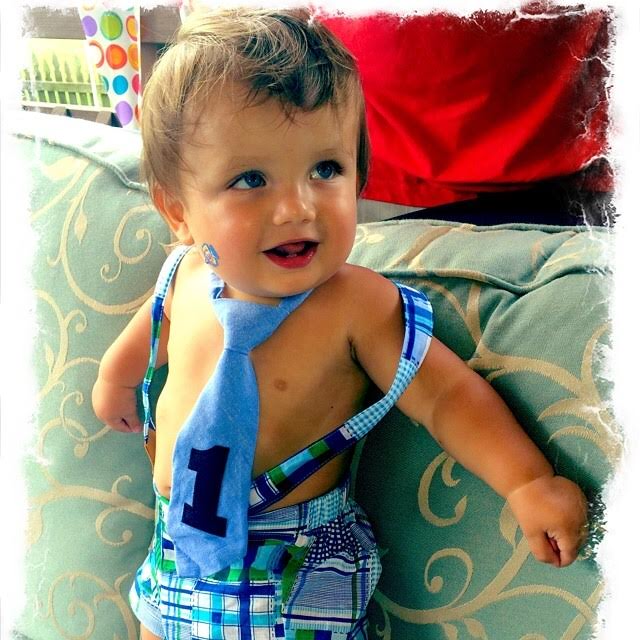 I love that picture of him on his first birthday its adorable!!! We go through so many emotions as parents . I could imagine how you would be feeling – just the worry we all feel as mums and will for their entire lives! It truly is all about perspective, but it is definitely heart breaking when you’re worried about how people will see your child. He looks all better now! We came thisclose to needing a helmet for my son, but it corrected itself at the last minute (who know how, I’m just glad it worked out that way). But if he’d have needed it, we’d have done it in a hot second. Good for you for doing what was best for your little guy! Oh, I loved this!, especially the part about changing your perspective! It’s a great lesson for all of us to learn. Glad you shared it. This is such a powerful story. You are such a strong momma who knows your son better than anyone! So thankful you shared this! Thanks for sharing. Anytime you experience something like this with your kids makes you that much more understanding and empathetic to other parents that may be dealing with something like that with their kids. Thanks for sharing your story. My first born almost had to wear the helmet. I was fitted and everything, but the physical therapy helped lots to where he didn’t have to wear it after all. I had all the same worries in my mind as you did. Your post will help other mommies who may experience the same worries has you had. What a beautiful post. I’m so glad she kept pushing until she got a diagnosis that made her feel comfortable. A few months in a helmet probably seemed so long at the time but in the grand scheme of things was so short in comparison with a lifetime of possible discomfort from the flatspot. Love this. Such a wonderful share. Perfect post. I have seen children with helmets and it may be for different reasons I never knew what it was for and that’s not exactly something you can ask without accidentally offended the mom. I have seen a few IG posts with kids in different devices and I say post away. Other moms are looking and you are providing them peace. That’s so great that you followed through with your mom gut and kept getting it checked out. I”m so surprised nobody caught it earlier! Perspective is such a powerful thing. My daughter has epilepsy but as I always say – it doesn’t have her!